Joshua Oppenheimer's mega-award-winning documentary The Act of Killing, which focuses on the Indonesian genocide of 1965-66, was 8 years in the making, but took only one year to scoop up over 50 major awards, attract more coverage than just about any other documentary in history, and to completely rewrite the rules of nonfiction filmmaking. Exploring what one critic calls "the psychological gestalt of a country in which mass-murderers brag about their slaughtering -- and still intimidate their neighbors -- with complete impunity," Oppenheimer and his crew (most of whom remain anonymous, for fear of reprisal) encouraged two of the executioners, boastful that they've killed hundreds of "Communists," to reenact their atrocities -- as both perpetrators and victims -- in styles inspired by the classic Hollywood gangster movies they had idolized in their youths. To audiences accustomed to seeing stories of genocide retold by the survivors and the families of victims, The Act of Killing is particularly disturbing. But Oppenheimer's masterpiece allows us to see the other side, to get beneath the skins of these villains, to probe for something deeper, to capture their conscience, to elicit a moral response. There is no question that he has achieved those aims -- and then some. Patricio Lumini and Maria Sol Nakagama, and Act of Killing PA Shusaku Harada. 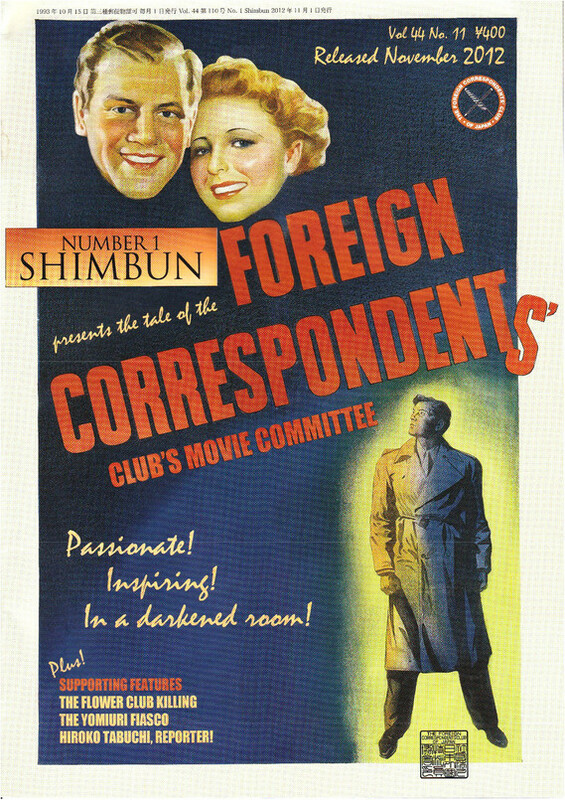 FCCJ's audience was most eager to question the director, and he was most eager to respond. Although he admitted that there has not been a major change in Indonesia since the film's release there (it is also downloadable online, where Oppenheimer has made it available for free), he faulted journalists for being fearful, for refusing to name names and to continue maintaining the status quo. He did note that one of the killers, Herman, had quit the Pancasila Youth paramilitary group that maintains a grip on Medan, upon seeing the film. "He is one of the only ones brave enough to go around holding screenings of the film," he said. Oppenheimer is just completing a new film, The Look Of Silence, about a family of survivors in Medan who confront the men who murdered their son. He is still hopeful that the perpetrators will be brought to justice, and that the culture of complicity will be curtailed. But a trial at the International Criminal Court would "require the UN Security Council to refer the case, and that's not going to happen with the current members. Fifty years is long enough for [the US and the UK], as well as Japan, which is also implicated, to get comfortable with our roles eagerly supporting the killing machine."